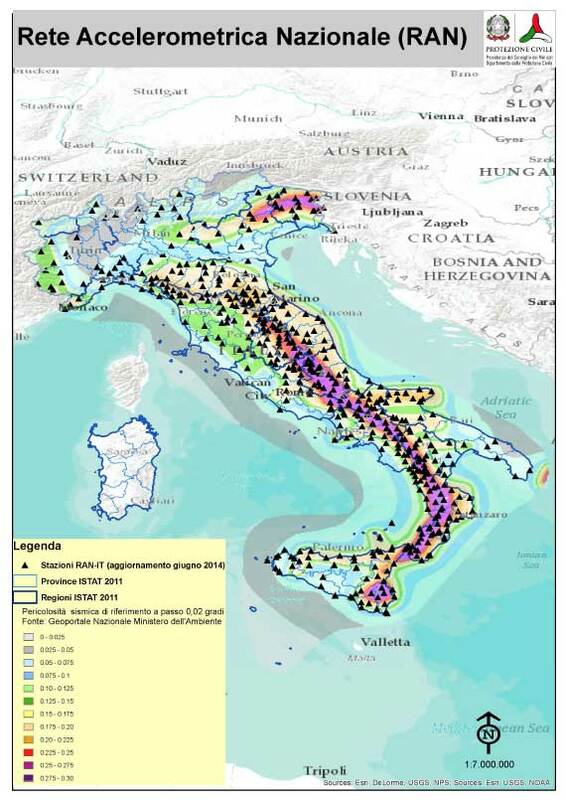 The Italian strong motion network includes 528 stations and the recorded data is used for seismology and structural engineering studies. The Italian Department of Civil Protection (DPC) is a structure of the Italian’s President of Council and is located in Rome. It is charged with directing the country’s response to natural disasters and catastrophes. The five offices of DPC include enacting initiatives towards mitigating seismic or volcanic risk and sustaining resilient emergency management programs. Since October 2012, we operate and maintain the RAN. The data center operation uses BRTT’s Antelope software for data acquisition and processing. In addition, we support DPC’s outreach program by installing temporary stations at schools. Outsourced operation and maintenance of the National Accelerograph Network (RAN) which improved overall station availability to over 98%, up from ~50%. Increased DPC’s confidence in the data of the network; since the increased seismic activity with frequent strong earthquakes in August 2016, the custom web interface is part of the permanent display in the command center of DPC. The RAN is given ever more importance, reflected by the adding stations and substituting triggered recording with real-time data streaming. Kinemetrics’ Aspen System acquires and processes data from more than 500 stations in a virtualized environment running on two enterprise-class servers with shared storage.